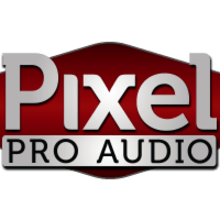 At Pixel Pro Audio, we are musicians, engineers, and artists that are passionate about the pro audio recording industry. Based out of Appleton, Wisconsin, we specialize in gear for the musician and music professional. We know the gear we sell, and we want to use that knowledge to help you make the best choice for your needs. The bottom line - we want to help you with the technical stuff, so you can keep the music flowing at your next gig or recording session. We know you want to get your new gear as fast as possible, so paid orders are processed and shipped out within 1 business day. Our shipping cutoff for a day is Noon CT each business day - orders paid before this cutoff will usually ship out the same day. All orders qualify for free standard shipping to the Continental United States. We utilize USPS and UPS for shipping services, and reserve the right to choose which method will be used when shipping your order. All orders ship from our Appleton, WI location. If you require expedited shipping, please contact us for a shipping quote. Expedited shipping does not qualify for our free shipping offer. If you have any questions about our shipping policy, or anything else, please contact us.